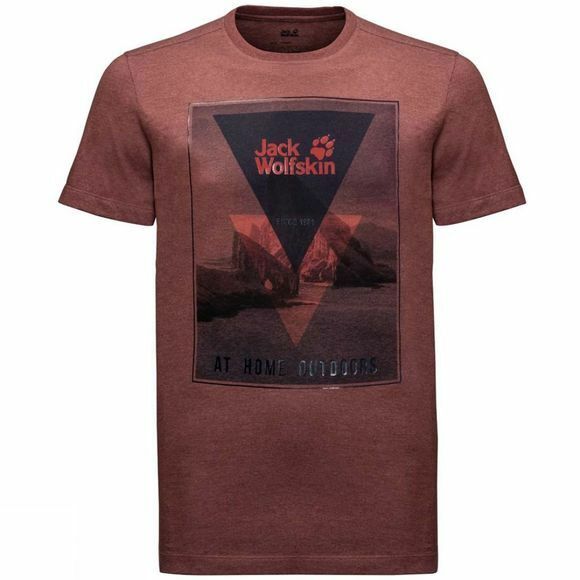 The Mens Mountain Top from Jack Wolfskin islLight, super comfortable to wear and dries fast. The fabric is a blend of organic Cotton and Polyester. So the Mountain T is harder wearIng than a pure Cotton T-Shirt but still has a pleasant, natural feel.The Print on the front is by the Outdoor photographer Guerel SahIn.